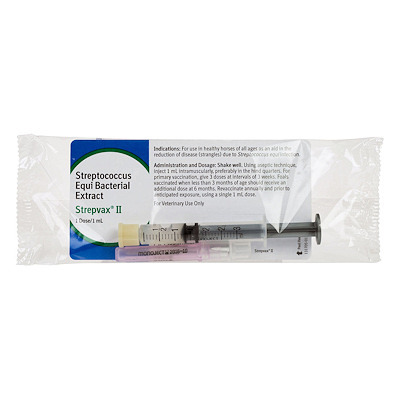 Strepvax II (Boehringer - Ingelheim) Single Dose Injectable Strangles vaccine. Protects against strangles caused by Strep equi. Made with concentrated M-protein extract to provide superior protection with a minimum amount of side effects.